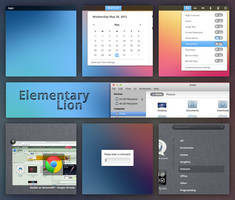 If you don't install these engines - GTK2 applications will not be styled. So it's NOT a bug if for example GIMP or Firefox looks like Windows 98. 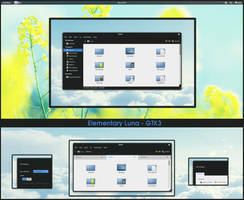 It's just you who haven't installed the gtk2 engines. 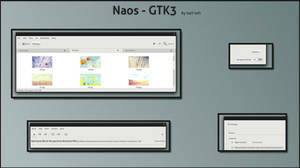 - In some flavors of Gnome 2.32 the right-click menu on some panel applets have a white text and uses the pixmap hover effect. There's no known fix for this. 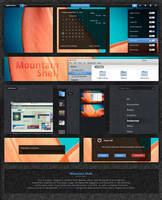 - Legacy metacity theme is not borderless. (It doesn't look good.) Use gnome-shell to get anti-aliased rounded corners. 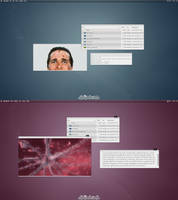 - Shell theme: Ok. No more trollface corner ripple lol. 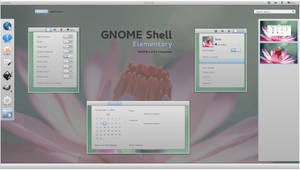 Can you update it to gnome 3.10? HI there, great theme! 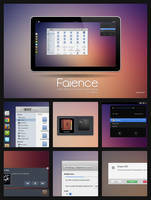 I use this with Faience icons and Greybird Xfwm4. 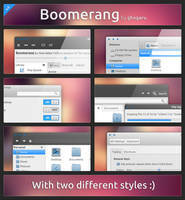 Do you have any plan for Xfwm4 theme? Thanks. 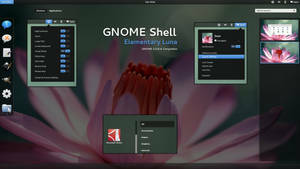 Is this still support for GNOME 3.6 (Ubuntu 12.10)? is what i get in .xsession-errors when using it with ubuntu 12.04. any ideas how to fix that? how can i make the app icons bigger in the app menu? I love it! 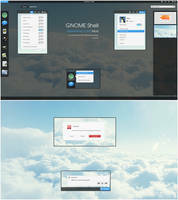 The gnome shell is second to none. When I use the Zukini theme, there is nothing on my Applications page. And searching for an application gives the section headers, but no icons. Everything works perfectly in Zukitwo. What could be the problem? 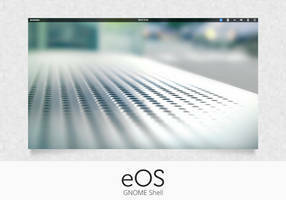 Are you using gnome-shell 3.2 with an older version of the Zukitwo theme? 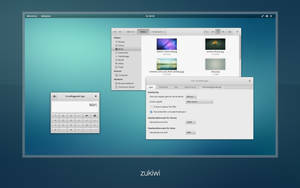 Zukini (and the latest Zukitwo) requires gnome-shell 3.4.
ohh, that's what it is. I'm using the Zukitwo in the Gentoo repos, which is an older version compatible with 3.2. Firefox input boxes look like Windows 95. Does anyone know why? Absolutely love this theme. 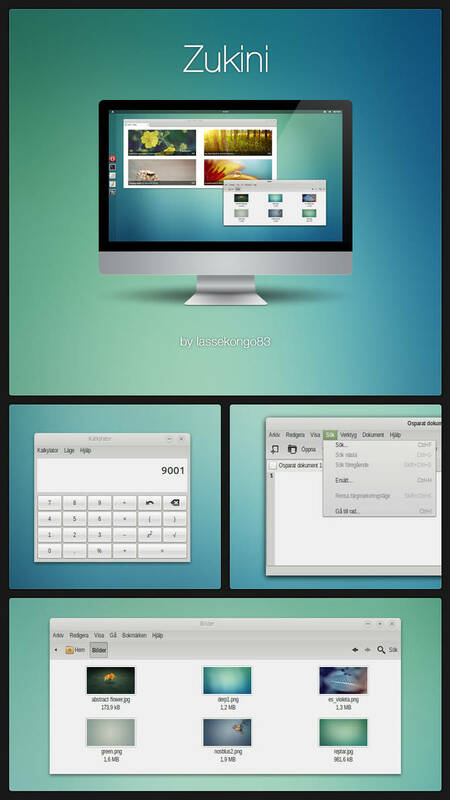 Prettiest GTK3 theme I have yet to see anywhere. Thank you for your contribution! Dude, I'm trying to fix the problem with "moving" buttons, i.e. when the button is pressed the text "moves" one pixel down and right(I mean nautilus pathbar buttons). Do you know how to make it stay: It pisses me off, plaese somebody kill meee..
Dude, you did it. Thanx a lot!!! You're the best!! Indicator-applet has the mail, network and sound buttons. Then you can add the clock applet and user menu applet. hey, it would be great if you'd put your themes to some versioning software (like git and then sync it on github). for the meantime, how did you "- GTK3: Insensitive toolbar button text color and bumpy behavior fixed." ? I do have a launchpad page for Zukitwo. (No PPA.) I upload all my changes there through their bzr as a backup. Is there anyway to properly align (or at least completely disable) the throbber on the top left of the shell theme? right now its comes up below the top bar and looks out of place. Hi, I am getting this bug. Has this been rectified? For some reason the icons aren't shown with your theme. 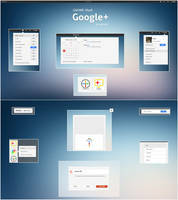 The extension must be using the icon from the appmenu which I've removed from this theme. 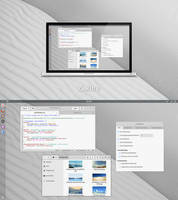 Open gnome-shell.css and remove width: 0px; from #appMenu. Then change width: 0px; and height: 0px; in .panel-button #appMenuIcon and .app-menu-icon to 24px to get it back. everything is fine BUT NAUTILUS, which is kind of "white". To my shame, I know Ubuntu only on user-level, "a-bit-advanced-user-level". Use gnome-shell to get anti-aliased rounded corners. 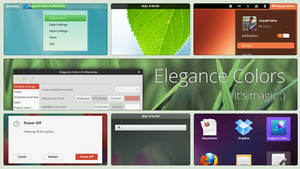 Ubuntu's default window manager is compiz/gtk-window-decorator which doesn't have this feature. I accidentally a sentence lol. 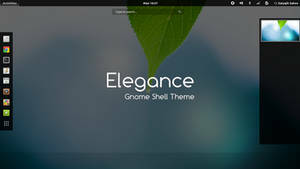 *if you install gnome-shell and are using this theme then you will get the rounded corners. Its one command in ubuntu 11.10, and then you just select it from the login screen. 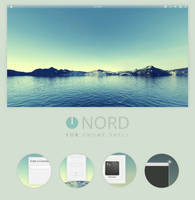 Thanks for your theme, if you didn't made this theme, I would probably not use linux..
Could you please share the upper left Archlinux logo? Another suggestion: is it possible to add more padding to the window menu? 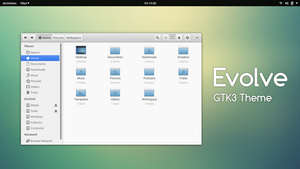 The GTK3 doesnt show up in the gnome tweak tool under GTK+ Theme, any ideas why? The application loading icon in Gnome-Shell (3.2.1 & unico 1.0.1) is not placed correctly. Half of it is in the topbar, other half below. Applications don't show in the panel on the top, when you hover there is just a blank space highlighted. Is that intentional? Can you please tell me how to un-hide the app name from the top bar in the shell? Using Global menu, which is accessible through this button... thanks in forward. Btw, how do i change the topleft logo? Replace ab-normal.png and ab-hover.png in the gnome-shell folder with an image you would like to use.